You are buying the First Quality Prevail StretchFit Lavender 32"-54" SF-A 96/cs - Model #SF-A from First Quality. First Quality is a leading manufacturer of incontinence products including briefs, liners, underwear, diapers, and underpads. At ADW Diabetes, we do our best to offer the complete product line by First Quatliy with discounted pricing up to 60% off retail. First Quality Prevail StretchFit Lavender 32"-54" SF-A 96/cs- is a budget friendly tier to the StretchFit product line. When you can move about freely without the worry of leakage, you know you've found the perfect fit. 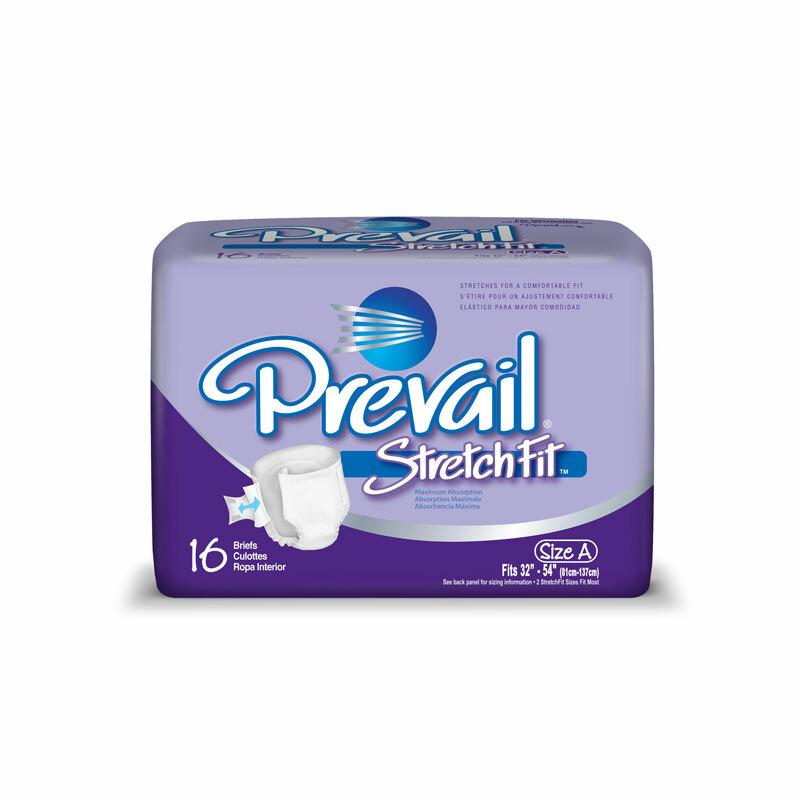 New Prevail StretchFit has adaptable elastic side panels that are easy to hold, pull and attach. Its Comfort Supreme features also include Skin Smart fabric and Odor Guard technology. These details work together to create an adjustable fit that delivers the utmost in comfort and confidence to those living with LOBC.